Well the race took a long time to decide a winner. Between the red flags for fixing pot holes and the wrecks it was still a great race. 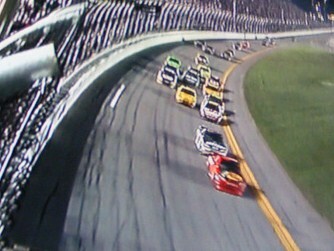 NASCAR has made the right call replacing the green/white/checkered finish. 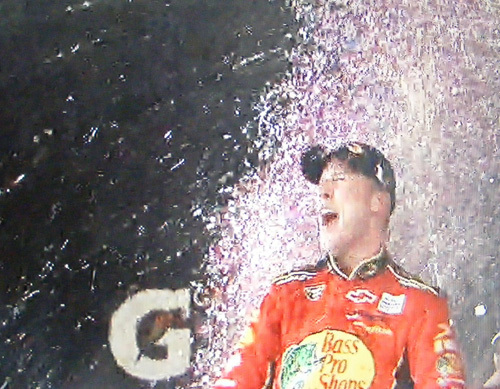 Congrats to Jamie McMurray for running a great race and Dale Earnhardt Jr coming from nowhere to finish second. It was a great finish between Dale Jr and Jamie. Vinny, Great posts. I saw your twitter article on e-zinearticles also. Great take on NASCAR’s using Twitter.